Lobbyists ply Congress with millions on behalf of Indian casinos. As it turns out, going to your local casino to "give some money to the Indians," may not be the best way to help them -- if that's your intention. And, of course, not the best way for you to get rich quick, if that's what you're about. According to the American Indian Report, not all tribes -- gaming and non-gaming -- are much better off than they were prior to the gambling era. Evidence is trickling in that in some ways gambling is making Indians poorer than they were before 1987 when the Supreme Court ruled that Native American tribes, being sovereign "nations," could not be barred from allowing gambling. Casinos began popping up on reservations everywhere after 1987, and today, 224, or almost half of America's 566 Native American tribes and villages operate casinos. Those native casinos in 2013 took in $28 billion, according to the National Indian Gaming Commission. This year 340 lobbyists for 165 casinos dumped $17 million plus into Washington, including a reported $56,500 from the Saginaw Chippewa, according to opensecrets.org. 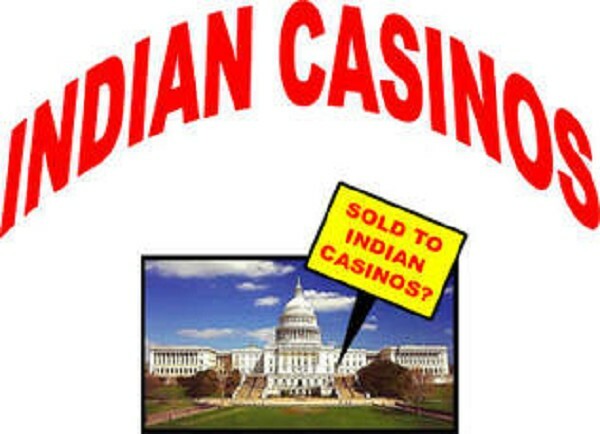 Melanie Sloan, a former federal prosecutor, wrote for indianz.com: "From 2004 to 2006, Washington was transfixed by the revelations that several Indian tribes had paid exorbitant fees to then-uber lobbyist Jack Abramoff to stop other tribes from opening casinos that might siphon gamblers away from their own operations." The Saginaw Chippewa was one of the tribes fleeced by Abramoff. Since then reformers have asserted power and leaders charged with corruption ousted. While Saginaw Chippewa membership grew under the lure of yearly per-capita casino payments that peaked at $100,000, a recent decline in gambling profits has led to disenrollment battles -- basically power struggles over who gets the gilt from the Soaring Eagle in Mt. Pleasant and Saganing Eagles Landing near Standish. The Saginaw Chippewa Tribe of Michigan can reopen disenrollment proceedings against more than 230 people, including some who are deceased, a Chippewa tribal appeals court ruled in August. Rick Mills, of the Mt. Pleasant Morning Sun, wrote: "When per-capita payments began in 1995, the Tribe's Soaring Eagle Casino owned 73 percent of Michigan's gaming market, members have been told. "That figure has dwindled to a current estimate of 14 percent market share, largely because the state now hosts 25 casinos, including 22 Indian facilities and the three privately owned Detroit locations. "Competition has shrunk the annual payments, which were at $78,000 a year in 2003 and peaked in 2004-05, when each member received about $118,000, which included a host of bonuses, multiple sources have said. "Each member now gets $58,000 a year." The Economist observed: "Many Americans think that Indians have struck it rich with the casinos. However, the fact that unemployment among adult Indians is about 15 percent -- roughly three times the national average -- Native Americans remain America's poorest people. "Gaming on Indian reservations has not lowered high levels of poverty on Indian lands nationwide, according to a 'Survey of Grant Giving by American Indian Foundations and Organizations' by Native Americans in Philanthropy. "Small tribes near big cities have done well. Yet a new study in the American Indian Law Journal suggests that, ironically, tribal gaming revenues can make poverty worse. The study looks at two dozen tribes in the Pacific North-West between 2000 and 2010. During that time, casinos owned by those tribes doubled their total annual take in real terms, to $2.7 billion. Yet the tribes' mean poverty rate rose from 25% to 29%. 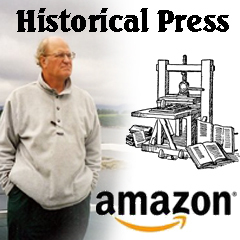 Some tribes did worse: among the Siletz poverty jumped from 21.1% to 37.8%. "Experts offer several explanations. Drug and alcohol abuse are rampant on reservations, so many tribal members find it hard to hold down a steady job. Poor health is another problem: Native Americans have high rates of obesity and diabetes, which are often aggravated by a lack of good medical care. More than 14% of Native Americans are in poor or fair health, according to the Department of Health and Human Services, compared with 10% of the overall population. "The needs of reservation Indians are so great that even if the total annual Indian gaming revenue could be divided equally among all the Indians in the country, the amount per person would still not be enough to raise Indian per capita income (currently $11,259) to anywhere near the national average of $21,587. Many tribes may never participate in gaming because of their geographic location in rural, unpopulated areas. "A few tribal gaming operations have seen spectacular successes such as the Mashantucket Pequot Tribe in Connecticut and the Shakopee Mdewakanton Sioux Community in Minnesota. However, these operations are the exception, rather than the rule. As small tribes located near major urban areas, these successful gaming operations have benefited the most from the gaming boom generating 40 percent of all Indian gaming revenue. The remaining 175 tribal orations are the exception, rather than the rule. As small tribes located near major urban areas, these successful gaming operations have benefited the most from the gaming boom generating 40 percent of all Indian gaming revenue. The remaining 175 tribal operations are only marginally profitable. "Gaming operations have enabled a number of tribes to reduce unemployment on their reservations. These tribes must concentrate their gaming revenues to create and maintain tribal police, fire and ambulance services; health and child-care services, educational assistance programs, cultural enhancement, and numerous other human service programs. "The notion that the federal government should make rich tribes share their wealth with poorer ones is absurd and, more importantly, illegal. If the state of Michigan generates extra money from its lottery, the federal government doesn't take money away from Michigan and give it to Mississippi. Remember, each of these tribes is a sovereign nation with their rights guaranteed by treaties and the Constitution of the United States. "Finally, there is a widespread misconception that Indian gaming is taking money away from private enterprises and state operations. The truth is that all Indian gaming operations in the United States account for only 21% of total gaming industry." Some 27% of Native Americans under 65 lack health insurance, compared with just 17% of Americans. "A lot of people in these communities are suffering," says Greg Guedel, a Seattle-based attorney who wrote the study. But the biggest problem may be the way casino profits are sometimes disbursed. Per capita payments have grown as gaming revenues have risen. "These payments can be destructive because the more generous they become, the more people fall into the trap of not working," says Ron Whitener, a law professor, tribal judge and a member of the Squaxin Island Tribe in Washington state. "Of the 17 tribes in the study that handed casino profits directly to members, ten saw their poverty rates rise. Of the seven tribes that did not, only two saw such an increase."